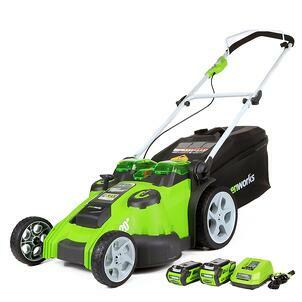 Propane Mowers vs. Electric Mowers vs. Gasoline Mowers: Which is best? Corporate sustainability is something that our clients are increasingly concerned about as more and more organizations seek to minimize their impact on the environment by being intentional about their grounds maintenance solution. Fortunately, sustainability is one of our main goals here at Schill Grounds Management, and we love to educate others about how they can do more to protect the planet’s resources. So, it’s no surprise that we’re intentional about the efficiency of the equipment we use. 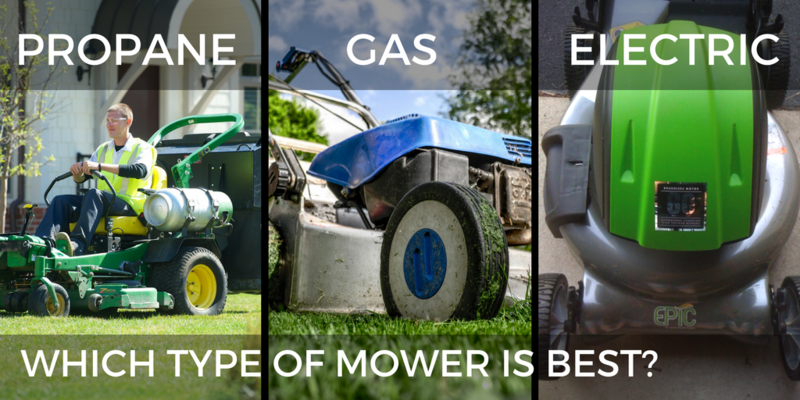 Furthermore, because our crews are out mowing over 10,000 times from spring through fall and because mowers use a lot of fuel, we wrote this article on why we choose to use propane mowers over ones powered by electricity and gasoline, as well as the benefits of each. Propane has a lower carbon content that conventional or unleaded gas, which means that mowers that are converted to propane from conventional gas can, on average, reduce their greenhouse gas emissions by 10% though estimates often range anywhere from 30%-90%. 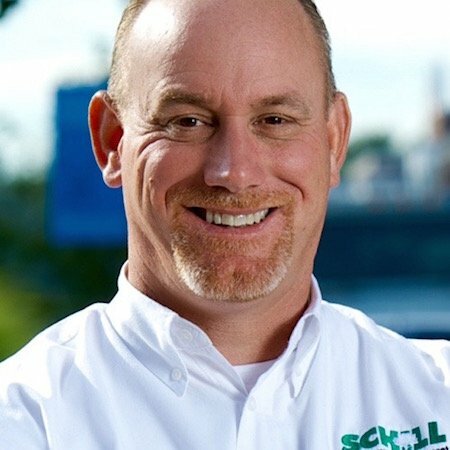 Here at Schill we have around 100 mowers, so that adds up to significant energy savings. It also has a higher rate of flammability than conventional gas, which means that it needs to get hotter than gas does to catch fire. And while propane and gasoline are both flammable, propane ignites at a temperature that’s over 600-800 degrees hotter. Propane is also nontoxic, which means that if it leaks, it won’t contaminate any water or soil that it comes in contact with. Gasoline, on the other hand, contains additives to increase its efficiency that can harm the environment. Propane is cheaper by the gallon than conventional gas, which means lower fuel charges for our clients. It can also be stored indefinitely (unlike gasoline which degrades after 12 months), which leads to less waste. Here at Schill, we go through a lot of fuel from the spring through the fall, so shelf life isn’t really a deciding factor for us. Nevertheless, potential waste reduction is always something we try to be mindful of as we strive to be the most environmentally-conscious landscaping company in Ohio. A key component of running a sustainable company is thinking, acting, and purchasing locally, and Schill Grounds Management is proud to say that our propane is locally sourced. This means that we’re supporting a company that provides hard working Ohioans with good jobs and continuing to focus on the environmental impact of the resources we use. For the homeowner just looking to mow their lawn once per week, acquiring propane can be a bit of a hassle. To put it plainly, gasoline is sold at many more locations. Fortunately for the Schill team, buying propane directly from local distributors means we don’t have to worry about running all over town to get the fuel we need. Want to know more about sustainable landscaping? Check out our comprehensive landscaping guide to learn more about caring for your lawn in an environmentally-friendly way. 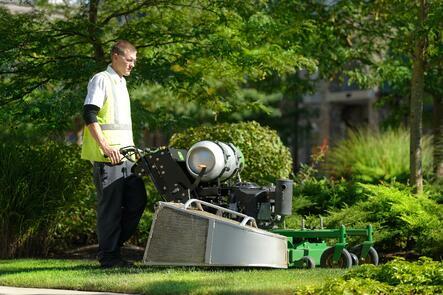 Electric mowers typically require less maintenance than ones that are powered by propane or conventional gas. They don’t need oil changes or things like new spark plugs and air filters, which can add up to some major savings. That being said, when they do need to be fixed it’s typically harder to find people qualified to service them. Another good thing about having an electric mower is that you don’t have to go through the hassle of finding or storing fuel. Depending on your location, this might be a big draw. Of course, the storage space you save by not having fuel will likely be negated by the amount of charging space you’ll need, but more on that below. 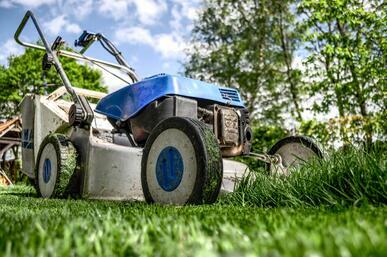 In general, electric mowers are often about 10-20 decibels quitter than propane and gasoline mowers. This can be a plus if your property’s outdoor space caters to employees, tenants, or customers who like to spend their time outside. Resources and websites stating that electric mowers and vehicles are unequivocally the best choice for protecting the environment are a little misleading. The truth is much more complicated than that, as how much pollution electricity causes is tied to the source that it comes from. So, if you get your electricity from a power plant that is run by coal, for example, you’d be harming the environment by using an electric mower instead of a mower that's powered by propane. That being said, electric mowers have zero emissions, which can put your property on track to receiving a coveted LEED certification. As of right now, most electric mowers are designed for casual use by the average homeowner and not to be used 4-8 hours every day. Even expensive models only claim to be able to mow 1/3 of an acre on a single charge, and the fact that many of the properties we service have turf that spans several times larger than that makes them impractical for our all-day use. Of course, one potential remedy for this is to carry extra batteries, but that can easily double or triple the cost of every mower. If you have 100 mowers like we do, making a charging station for all of them could be a logistical nightmare. Not only would you need massive amounts of space to accommodate each mower (most models can’t be charged outside in inclement weather), the 4+ hours needed several times per day would mean that you’d literally be charging the battery more than you needed to use it. Furthermore, the cut and bagging quality of electric mowers is often affected by their battery life, which can lead to uneven cuts and turf that doesn’t look its best. And finally, electric mowers also tend to be smaller push models, so finding a quality riding mower to service larger properties can be difficult. Propane riding mowers are readily available, and they can even be converted from ones that run on conventional gasoline. Though we’ve already discussed the savings that electric mowers can generate in maintenance and fuel costs, there’s no getting around the fact that they do tend to cost more upfront (though prices will likely continue to drop as technology improves). Exactly how much more a decent electric mower can cost is difficult to determine because there’s really no apples to apples comparison. Power output of electric mowers are measured in voltage, which is difficult to compare to the engine power (measured in horsepower) of a propane or gasoline mower. One of the largest advantages to using gasoline mowers is that gas is so readily available—getting what you need is only as far as the nearest gas station. Nevertheless, there are over 6,000 propane retailers in U.S. that can accommodate a variety of fuel needs. Mowers that run on conventional gasoline are also much easier to find than mowers that run on propane or are electric. Instead, many contractors who use propane mowers simply convert them from ones that were designed to run on gasoline. To offset the amount of emissions gasoline engines produce, chemical additives are added to gas to help lower these rates. However, these additives tend to be toxic, which basically means that petrol manufacturers trade one environmental risk for another. When gas leaks into soil, it can prevent plant growth (meaning you could potentially end up with no turf while trying to mow your lawn) and contaminate the water supply. Because gas mowers don’t burn as cleanly as propane ones do, this leads to more build up in the engine, which will typically mean more regular and intensive maintenance. As we mentioned before, gasoline should only be stored for about a year before it starts to degrade, which can potentially lead to an increase in waste. At the very least, users of conventional gasoline must pay much more careful attention to when it is acquired to prevent their supply from being compromised. Gasoline costs more than propane, and the disparity in price can add up quickly and is generally passed on to the customer. As anyone who has ever taken a road trip during a major holiday or needed to fill up before or during a major storm knows, gas prices can also be highly unstable. That’s not to say that propane prices aren’t affected by the same principles of supply and demand, but acquiring natural gas that’s locally sourced helps to offset this a bit. Here at Schill, we take sustainability very seriously and we’re always happy to partner with organizations and companies who are looking to become more environmentally friendly. If you want to learn more about how sustainability can improve your company’s culture and your bottom line, feel free to contact us or read our free guide below.